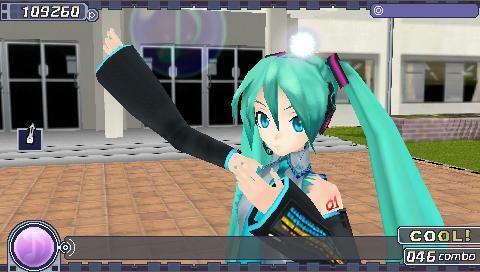 Hatsune Miku [Project DIVA] – 3 New Screenshots! 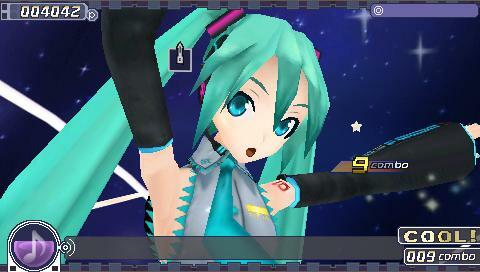 The PIAPRO Development Blog have been updated with 3 “new” screenshots of Hatsune Miku -Project DIVA-, but I’ve seen 2 of them in last week’s Famitsu. Without further ado, here’re the screenshots released by PIAPRO. So we’ve seen this screenshot from the Famitsu article, this is the PV that runs in the background when we play the “Strobe Nights” song by livetune. And of course, the Good image! 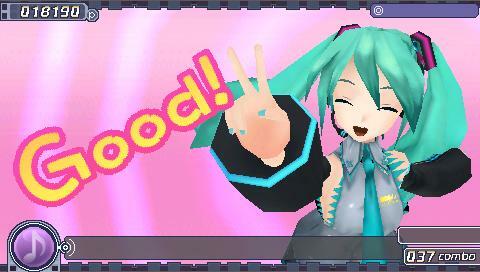 I still love Miku’s expression at this screenshot! Finally! A new image! A school in the background!? Well, the stage (background) and the PV does change for every song, so can anyone guess what’s the song being played at the third screenshot above? It have something to do with school… Or maybe that’s the PV for one of the storylines in the game? Miku in a school? Do want! We’ll just have to wait for further information about it, but by the looks of it, SEGA would release another demo video or trailer… Well, keep checking here for further information! – They already have a playable demo of the game. – You’ll be able to download new song packs and add-ons for free. I have yet to confirm this, though, so consider it a rumour for now. WOW, if you can REALLY download new song packs and add-ons for free, this would be the BEST GAME EVER. that’s what I know, but if they have a playable public demo, I’ll download it straight away! thanks for the informations (rumours)!